The Webster’s Dictionary defines a perfectionist as: someone who will not accept or be content with anything less than perfection. Perfectionists tend to have unrealistically high expectations about themselves, others and life in general. They also become acutely aware and over concerned with tiny flaws and mistakes in themselves, others, and achievements. Using so much energy to focus on what’s wrong and discounting what is right. Perfectionism leads those to believe nothing is ever good enough. 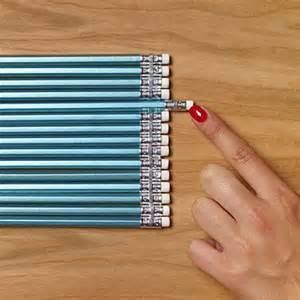 Perfectionism is a HUGE common denominator in low self-esteem and drives people to the point of chronic stress, exhaustion, and burnout. Imagine a perfectionist who is an athlete. * The idea that races and accomplishments are a measure of self-worth, has to be let go. Think long and hard about this. People in someone’s life accept and love them not because they have a full medal rack on their wall, raced a certain distance, raced within a certain finish time, but for their love and wisdom. Accomplishments are not “who” you are but rather “what you have done”. Focus on “who” you are, not “what you have done”. * Don’t blow up negatives and harp on them continuously. Perfectionists tend to selectively ignore the positives and dwell on negatives, no matter how small and insignificant, at the end of the day, think about the positives. Perfectionists tend to even create negative situations out of positive because they dwell in the negative so much they don’t know how to react or behave in a positive environment. Don’t negate a positive. For example “I had a great run, but it wasn’t at the pace I wanted”. Positive leads to positive and positive breeds positive. The same goes for negativity. * Think about goals. Are they realistic? Are you reaching for the stars in another galaxy? Are you determined to do a race distance that you don’t have the time or ability to train for? Determined to finish in an amount of time that is a huge stretch even given perfect race and training conditions? Is your goal realistic? Set yourself up for success, not failure, by setting goals you can achieve. * Do something every day you enjoy. Plain and simple. Perfectionists tend to be self-denying. If external goals and everyday life experience expectations are so high that there is no pleasure or enjoyment, allow time for fun. Do not seek out the negative, seek out the positive. HAVE FUN. * In racing and training is it “win/finish in a time/PR/place high at all costs” or do you allow yourself to have fun? A popular quote comes to mind “The journey is more important than the destination”. * Focusing on “keeping up with the Joneses” and not focusing on and celebrating your own improvements and successes can cause someone to lose sight of the positive in their training and accomplishments. This leads to unhappiness, and often times in training/racing burnout and injury. Perfectionism, when identified, can be overcome. It takes a change in how someone views themselves, and others, but it can be overcome. More severe situations may take the assistance of a counselor or therapist. If you see the perfectionist trait in yourself, take a moment and reflect. See how you can turn it around and find the positives and success in yourself, others, racing, training, and life in general. Don’t set yourself and others up for failure, but instead, focus on the positives. Allow yourself to be happy. That, is success.